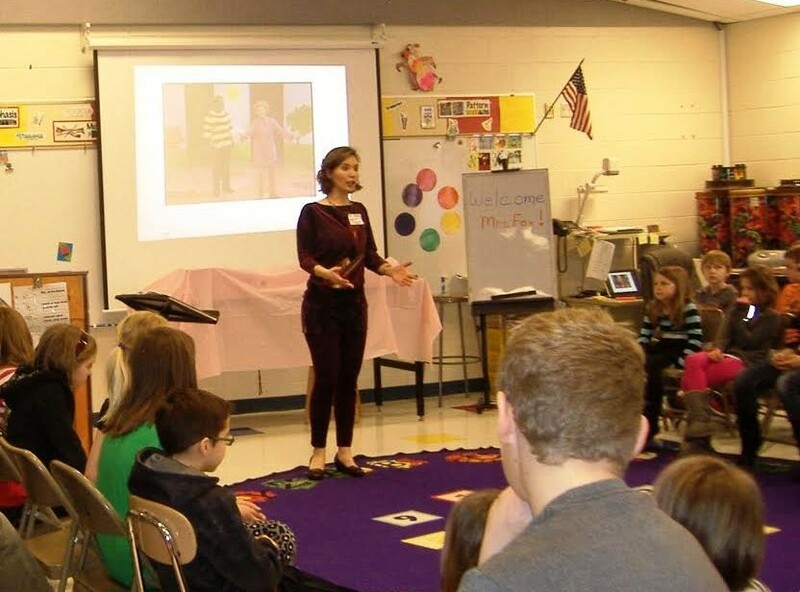 In 2013, the Kaneland Arts Initiative introduced a unique program designed to bring a professional artist into Kaneland classrooms. The mission of the KAI Artist in Residence Program is to enrich and support ongoing Arts education within the Kaneland School District at all levels by collaborating with a professional artist. The goal of the Artist in Residence Program is to partner a professional artist with the Kaneland Fine Arts Faculty who will facilitate interaction between the artist and the Kaneland students in order to promote a better understanding of a working artist in a specific medium within the Arts and to provide an authentic experience and dialogue about careers in the Arts. 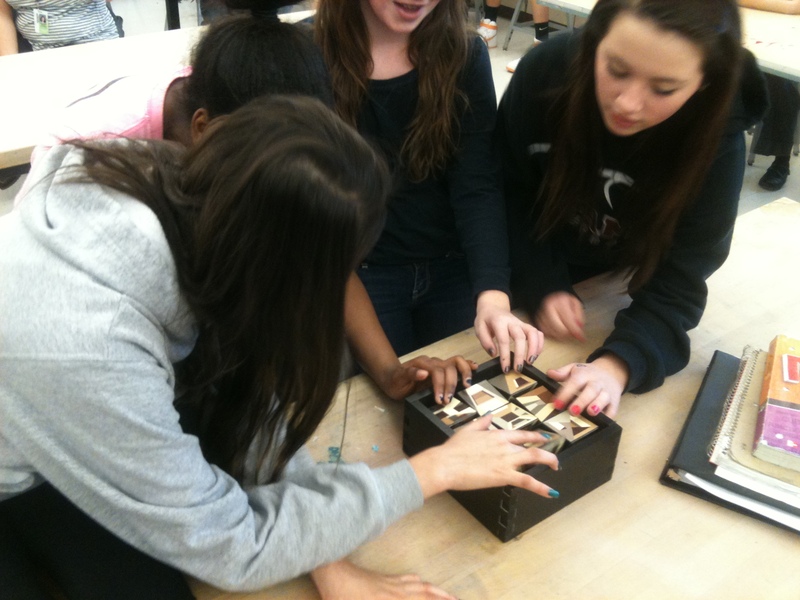 The Artist in Residence Program is made possible by a grant from the Kaneland Foundation. Raised in Nashville, TN American mezzo-soprano Margaret Fox is known for her expressive singing, captivating stage presence and distinctive color of voice. Ms. Fox made her operatic debut with the Florentine Opera in 2009 as the Third Spirit in Mozart’s Die Zauberflöte. Other major operatic roles have included the title role of Handel’s Ariodante, Hänsel in Hänsel und Gretel, Cherubino in Le Nozze di Figaro, Meg March in Little Women (at the opera’s European Premiere), Despina in Cosi fan Tutte, Pitti Sing inMikado, the title role in Iolanthe, and Dinah in Trouble and Tahiti. Margaret has been making a name for herself as a recurrent young artist in concert as well; and particularly in Baroque and Classical repertoire. She returned this summer from the American Bach Soloists Academy in San Francisco where she prepared and sang the role of Dido in Purcell’s Dido and Aeneas, Céphise in Rameau’s Pygmalion and performed as a soloist in Bach’s Mass in B Minor. Her solo repertoire has included Händel’s Messiah, Haydn’s Harmoniemesse and Mozart’s Mass in C minor,Requiem and Vespers. Audiences have heard Margaret as a featured soloist with the American Bach Soloists, Canterbury Singers, Cor Cantiamo, Beloit-Janesville Symphony, U.W. Madison Choral Union, and OshKosh Chamber Singers; and has also sung as a professional member with the Chicago Symphony Chorus and Grant Park Chorus. A recipient of numerous awards, Ms. Fox has been encouraged by the Elgin Opera Competition (3rd place), Oratorio Society of New York Competition (Semi-Finalist), Lotte Lehman Foundation (Cyber-Sing Competition Audience Favorite Finalist), Randall Welty Career Advancement Award, and a Teaching Assistantship at UW-Madison. Most recently, Margaret is proud to be part of the Grammy wins of Florentine Opera’s recording of Aldridge’s Elmer Gantry from the Naxos label, on which she is featured as the singing Tour Guide and Psaltery player. Eric Nye has been a professional painter since 1995 but his training started as a child. Eric always had a comment or an observation about the artwork there and gravitated toward the work of the Modern Period. He began cartooning and sketching in grade school. In high school Eric loved to reproduce drawings from the album covers of his favorite bands. Throughout high school and college Eric took courses in art. In college he began producing large scale photo-realistic pencil drawings of popular icons from photographs. He continued to produce these drawings for a few years but thirsted to share his own creative vision. After taking a class in beginner oils Eric started to discover his vision. He continued to paint and discover new ideas and new techniques for expressing them visually. Continuing education at the School of the Art Institute of Chicago has helped Eric to expand his repertoire of skills. Eric has sold many of his paintings and has been commissioned to do several pieces for private collectors. He has also participated in various local art festivals and events including Around the Coyote and The Artist Project (as part of the Artropolis event at the Merchandise Mart in Chicago). See more pictures in the Artist in Residence Photo Gallery.